Welcome to CEHSNews.com. This website will provide up-to-date information regarding all things East. The purpose of the website is to publish interesting, informative and unbiased news every day. CEHSNews allows an instant connection between the reader and the writer, as well as a way to publish important information as quickly as possible. Currently, there are four social media accounts (Twitter, Snapchat, Facebook and Instagram) that are also a part of CEHSNews. The purpose of social media is to establish a connection between us and the students of Columbus East. We will publish live updates from sporting events, links to newly published articles and short updates every day. The Oracle is a student-run newspaper from Columbus East High School in Columbus, Indiana. It publishes eight times per school year with a print circulation of 500. CEHSNews is a separate entity of East publications, but shares the same policy as The Oracle. CEHSNews’ media accounts, including SnapChat, Instagram, and Twitter, are used to quickly provide news and run as a tangent to the website and print publication. he Oracle is a public forum where students make all decisions of content and design without review from teachers, advisors or administrators. Because school officials do not engage in prior review, the student staff members assume complete legal and financial liability for the content of their products. The Oracle is protected by and bound to the principles of the First Amendment as well as other protections and limitations granted by the Constitution and the various laws and court decisions implementing those principles. The Oracle staff members aim to report all coverage ethically and equally as determined by Society of Professional Journalists and the National Scholastic Press Association’s Code of Ethics. The adviser will not act as a censor or determine content, but instead offer advice and instruction, following the Code of Ethics for Advisers established by the Journalism Education Association. Final content decisions will remain the responsibility of the staff, not the adviser. 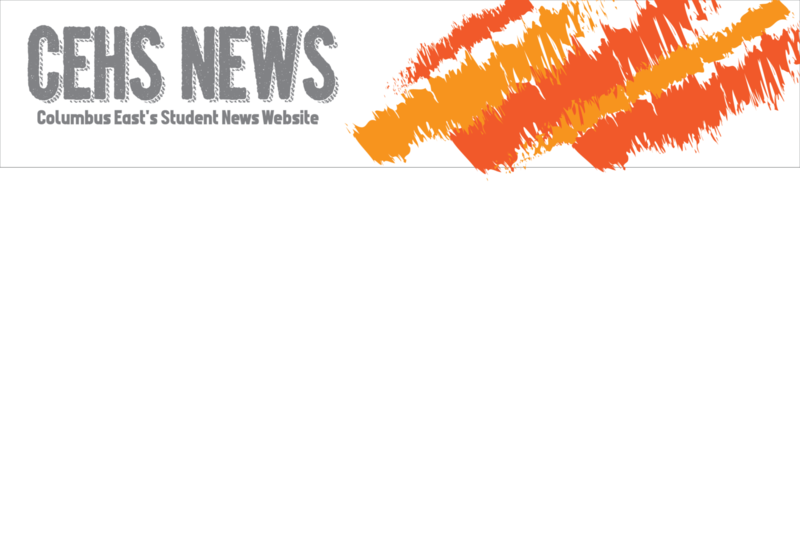 Because The Oracle is purely a student-run news forum, the views and opinions of the staff do not reflect those of teachers, advisers or administrators of Columbus East or the Bartholomew Consolidated School Corporation. Stories in the form of, and labeled as, an opinion piece are solely the views of the student who wrote the story. The Oracle will not avoid publishing a newsworthy story solely because of possible controversy. The staff will also not publish a story solely to sensationalize and cause controversy. The Oracle will use profanity only when it is essential to the story. Profanity will not be used merely for the sake of profanity. Photos will not be electronically altered in a way that would deceive the readers. Photo illustrations are acceptable in the event that they better communicate or illustrate the story’s concept or message and will be labeled as such. The Oracle is a member of the Indiana High School Press Association and the National Scholastic Press Association. The Oracle practices ethical journalism by providing balanced and fair coverage as determined by community standards. The Oracle strives to achieve 100 percent accuracy by checking sources, spelling and quotes and attaining multiple sources. If a mistake does occur, The Oracle will correct it, and notify its readers of the mistake if it is not caught before distribution. The Oracle encourages letters to the editor, but reserves the right to reject them for reasons including but not limited to lack of space, multiple letters of the same topic and personal attacks contained in the letter. The Oracle will not edit for content, but reserves the right to ask contributors to edit for grammar and length. Letters should be submitted to room C257 or sent via e-mail to [email protected] All letters must be signed by all persons involved in writing the letter, which the staff will check for validation. A letter sent via e-mail must be validated with a signature from the writer before The Oracle will publish it. If responding to a publication, letters must be turned in within one week of that publication’s distribution. Comments on web stories are accepted and encouraged. Once a user posts a comment on a story on CEHSNews, it will be screened for spam, profanity or hateful comments. After this screening from an editor, the comment will be published to the article. Not all comments will be posted. Since the web is so up-to-date, mistakes might be made grammatically or with minor information. If this happens, the staff will edit the published article, and, depending on the edit, the staff will place a small notification of the edits that have been made at the bottom of the page. Students in charge of operating the CEHSNews accounts will do so responsibly. The purpose of our social media is to give us a direct link to readers and those associated with Columbus East High School and Columbus. As a part of this responsibility, students will not post or favorite false, abusive, profane or inappropriate posts. Comments on social media posts are welcome and will be responded to if deemed necessary. In the case of the death or deaths of current or former students (recent attendees), The Oracle will cover the death with a standard obituary. The obituary will be journalistically written with an emphasis on the person’s life and, if timely, give details of the funeral service and/or contribution details. The family will be contacted to provide permission and a photo. If a suicide is involved, the obituary will not give any details of the suicide. In addition, all stories/packages dealing with any form of death will contain information about death/grief counseling and/or resources.